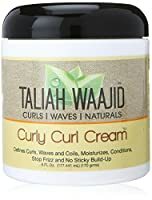 Taliah Waajid is “The Queen of Curly, Coily, Natural Hair Care"
Taliah Waajid is a Natural Hair Care specialist, a licensed Master cosmetologist and the manufacturer of the first complete line of beauty products for natural, chemical-free hair care. 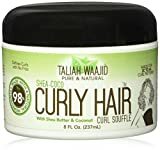 Taliah has trained thousands of stylist on her unique natural hair techniques and chemical-free hair care. Taliah Waajid is also the presenter of the largest trade show that celebrates natural hair, health and beauty. 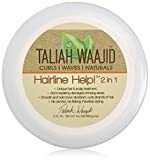 Taliah Waajid really cares about the health of your hair.